After watching my sister go through a rhinoplasty operation with Mr Kleid, I immediately booked myself in to see him too and i cannot be any happier with the results. Everyone in his rooms are amazing and the treatment at the hospital was top of the line. Nothing but good words to say about him, i love my new nose! Mr Kleid is most, professional, well- spoken, regimented, nicest specialist that I have ever visited! I was recommended to Mr Kleid by my maxillofacial surgeon, and i am glad i was, during my first visit I was bit nervous and not sure what to except but Mr Kleid made sure that I felt comfortable and we talked abit about the procedure that I wanted to have done (septorhinoplasty) what was involved and the risks etc. Mr Kleid took some photos looked at my x rays and we went from there. Mr Kleid never forced me to do anything that I did not want myself to do and straight away I knew he was the perfect surgeon for me! Later on computer imaging was performed and i was shown what my face would look like after the surgery and I waited only 2 months or so to have the procedure, which was not long at all! I had the procedure of septorhinoplasty performed by Mr Kleid as well as removal of 4 wisdom teeth and a chin implant performed by a maxillofacial surgeon. The surgery and recovery process went terrific, I was extremely pleased with minimal pain and discomfort. The appearance of my face is exactly what I was told it would look like and the results are phenomenal. I recommend Mr Kleid with all my heart. He is not just good at his job he performs miricales and deserves every single fee that he receives. Don't believe me? See for yourself. I couldn't be happier with the result of my septorhinoplasty with Dr Stephen Kleid. My nose had been broken in a car accident, which resulted in a deviated septum that affected both my breathing and the appearance of my nose. After researching ENT specialists online and reading many reviews, I chose to see Dr Kleid (and I’m very glad I did!). Dr Kleid is genuine, friendly and extremely knowledgeable in his field, which was evident straight away and throughout my entire experience. During my initial consultation, Dr Kleid immediately made me feel comfortable and confident in his abilities. After examining my nose and the damage, he set reasonable expectations of what the final result would be, and clearly outlined the process and what the operation would involve. He acknowledged my preference to simply return my nose to its function and appearance prior to the accident — as if I'd never had a nose injury — and he did exactly that. Throughout the process Dr Kleid was patient, honest and open, and was not pushy or egotistic at all. As I’d never had an operation before and have issues with allergies I had quite a few questions, and Dr Kleid answered them all thoroughly, which gave me the reassurance I needed and greatly appreciated. The result of my septorhinoplasty was beyond what I’d expected; my nose is straight, the shape is subtle and natural and I can breathe better than I ever have. My recovery was quick with no complications, and the scar from the open rhinoplasty is already barely visible (at only 3.5 months post-op). Dr Kleid is a highly skilled surgeon who genuinely cares about his patients, and I highly recommend him to anyone considering nasal surgery, cosmetic or otherwise. After a year of thorough research, and appointments with several different surgeons, we decided on Mr Kleid to perform my rhinoplasty. Our first consultation, although very professional, had allowed an emotional connection. Mr Kleid thoroughly explained the procedure and was open to answering any questions along with presenting many images of previous work. I left the consultation feeling very confident in the work he had to offer. Mr Kleid was very patient and empathetic. The surgery took around 3 hours, and even after the procedure, he took a big interest in my wellbeing. The stay at the hospital was overnight which allowed me to recover from the anaesthetic. I could not be happier with the result of my new nose. The change is miraculous although subtle as the nose appears so natural. I am currently 7 months into recovery and the rhinoplasty has made me a new, more confident person. I am only 4-weeks post-op and already absolutely delighted with my result. After lots of research for a Rhinoplasty surgeon in Melbourne, I decided to make a consultation with Stephen and another surgeon. Prior to seeing Stephen, I met with Anne (Metamorphics) to have photos taken and imaging completed. Anne is the "architect" and spent a lot of time showing me different results, explaining the anatomy of the nose and setting realistic expectations. She indicated that Stephen was a fantastic surgeon (which I can now agree with). After seeing the imaging I was very eager to have it done. Stephen is the "builder" and after my consultation I knew that he was the right person for the job. He was not pushy (as I had expected all surgeons to be) and I could tell that he was a genuine and friendly person. I had a deviated septum, so it was comforting knowing that Stephen is well-qualified (ENT specialist) with years of experience. He thoroughly explained the anatomy of the nose, procedure and recovery as well as showing me similar results to what I was having done. Stephen ensures that the nose suits your face as a good rhinoplasty result is one that people don't notice (no-one is yet to notice mine). In terms of the procedure itself, it was quite a breeze! All the staff at the Masada Private Hospital were really lovely and helpful. After 1 week I met with Stephen to have my cast off and loved my results even with the swelling. I have a little trouble breathing in one nostril (but it is only a month post-op) and Stephen has mentioned that this could be fixed by a minor op down the track. I believe that the most important thing is that you don't set unrealistic expectations and find a surgeon who makes you feel comfortable both in terms of qualifications and philosophy. Based on my experience and result, I could not recommend Stephen Kleid highly enough. I was born with a crooked nose that became more noticeable as I got older. At 26, I made the decision to investigate rhinoplasty surgery and consulted Stephen Kleid after hearing excellent reports from friends that had undergone the procedure with him. At my initial consultation Stephen examined my nose and spent at least an hour explaining the surgery and sharing examples of his work. At no point did he try to rush my decision or apply pressure. Instead, he suggested I take time to consider the surgery and get back to him with any questions. Once I'd made the decision to move ahead he sent me to have pre-operative photographs taken at Metamorphics, who created a retouched version of my images to give me a sense of the results I might expect. A few months later I underwent the septoplasty/rhinoplasty at Masada Private Hospital. I was pretty uncomfortable for a week or so after the surgery as I wasn't able to breath through my nose, but this resolved itself as Stephen had advised. My plaster was removed a little over a week after surgery and despite the swelling, I was extremely pleased with the results - they were very close to the retouched images I'd received earlier. As the swelling settled over the following months I found my breathing improved as well - a very unexpected benefit of the surgery. I met with Stephen again for my 12-month post-operative review, at which point he offered to conduct another minor procedure to reduce a bump on one side of my nose at no additional out-of-pocket cost. I hadn't previously considered undergoing another round of surgery, but made the decision to go ahead based on his advice that the procedure would be far less invasive than the initial surgery. And I am very glad I did as it was a substantial improvement with very little recovery time. All in all, I would highly recommend Stephen Kleid to anyone considering undergoing septoplasty/rhinoplasty surgery, or any nasal procedure for that matter. For what it's worth, the hospital staff on both occasions were very quick to sing his praises too. Had a revision rhinoplasty and septoplasty with Dr Stephen Kleid and I am extremely happy with the results. He set reasonable and realistic expectations for what he thought he would be able to achieve with my revision and he has delivered a nose that is functional, that I can breathe out of, and that looks a lot better that what I previously had. Also I am happy with follow up care appointments to check on the healing progress. In April this year I had a revision rhinoplasty performed by Dr Kleid, after my initial rhinoplasty in March 2013 (done by a Plastic Surgeon in Adelaide – where I reside) was unsuccessful. My nose collapsed, making breathing difficult, I still had a deviated septum and was left with shape problems and unevenness due to excess removal of the nasal dorsum and uneven removal of the tip (aka pollybeak). 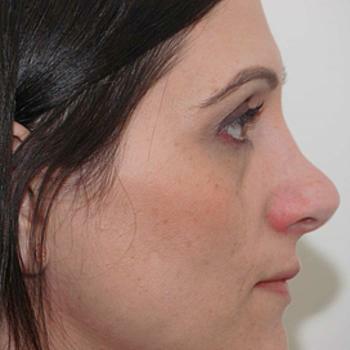 I spent a year researching to find another surgeon who could improve both the function and appearance of my nose and was fortunate to come across Dr Kleid through forums. I also had imaging done by Ann Emslie (Metamorphics) who was amazing, knows her stuff and whom also supported my decision to see Dr Kleid. It was evident from the get go that Dr Kleid was the right surgeon for me, and I made the decision at the initial consult to travel from Adelaide to have the surgery. The consultation was so thorough and I was not made to feel rushed. I had the opportunity to see some of his actual work, review my imaging together and find out what would be involved in the procedure. Dr Kleid was patient, honest, open and so genuine. He was not pushy nor did he display the ego that I had experienced in the past. It was evident he is a Master in this particular procedure, which gave me the utmost confidence and trust to proceed. I had an open rhinoplasty requiring grafts to rebuild my bridge, not something just any surgeon can and will do. I am still surprised at how well the procedure and recovery went, I had minimal discomfort and the surgery aftercare was excellent. The whole way through I knew I was in the absolute best hands I could be. Everyone from the ladies in the office to the staff at the hospital was so lovely, professional and very accommodating. Any questions I emailed were answered immediately by Dr Kleid, and his after care follow up is an indication of the pride he takes in his work and final results. 6 months on, and whilst I still have some swelling in the tip, I love the result so far, it is getting better each day as the final result is taking its shape. The only regret I have is that I did not find Dr Kleid earlier to do my initial rhinoplasty. 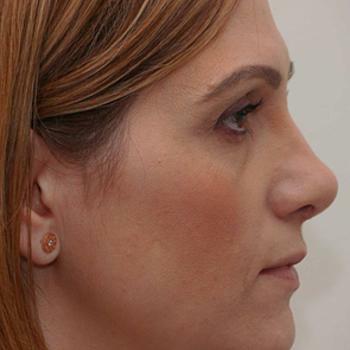 If I can give any advice at all, it would be that rhinoplasty is not a procedure that can be done well by many, it requires so much more skill than the majority of the surgeons have. Do not base your choice of doctor on cost alone, whilst that is a consideration if you have to pay twice like I did, it could end up costing you a lot more. I highly recommend Dr Kleid and am happy to answer any questions via message.